Sick of trying to control your 360 using Kinect, semaphore and advanced flailing? 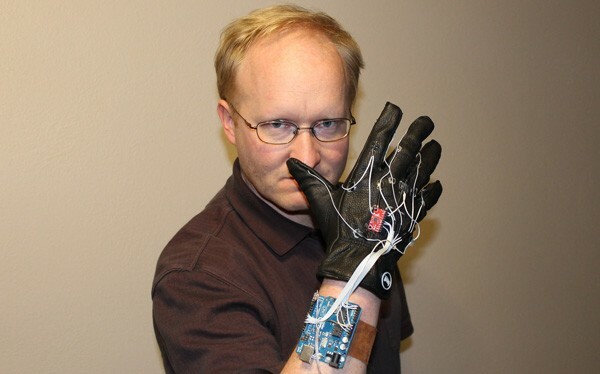 Modgod Ben Heck, deciding he wanted to be more Minority Report and less lunatic, has been working on Power Glove 2.0 to improve the console’s navigation experience. The prototype glove is tricked out with Arduino, an accelerometer, a gyroscope and some fingertip buttons. With the addition of IR and a little coding magic, the 360’s interface can be controlled via subtle gestures, with increased functionality / style points also apparent. Check out the latest episode of The Ben Heck Show after the break for a detailed walkthrough of the project and a demo of the glove in action. Ben Heck makes Super Glove mod for Kinect, takes strain out of gestures (video) originally appeared on Engadget on Mon, 04 Jun 2012 17:33:00 EDT. Please see our terms for use of feeds. Sure, it’s late to the Samsung Galaxy S III announcement party, but we suppose AT&T is letting the other carriers duke it out for the attention first before it came out with its own revelation. Now that it has the platform all to itself, AT&T has now officially made its intentions known. The Snapdragon S4-powered device will offer three color options and will be available for pre-order on June 6th starting at $200 for a 16GB model. What’s the third hue choice, alongside the white and blue? Red. That’s right: seeking ways to customize the Galaxy S III as a means of differentiating itself from the other four Galaxy S III devices, AT&T will be proudly selling its new flagship smartphone in glorious red. There’s a bit of disappointing news to go with the good, however — at least, if you’re a fan of more storage. AT&T will sell only the 16GB model, and anyone seeking a total of 32GB will need to go with a $39 16GB microSD card. Aside from this, everything else appears to be exactly the same as the rest of the pack, which is encouraging news for anyone who wishes US carriers would shift to becoming dumb pipes. 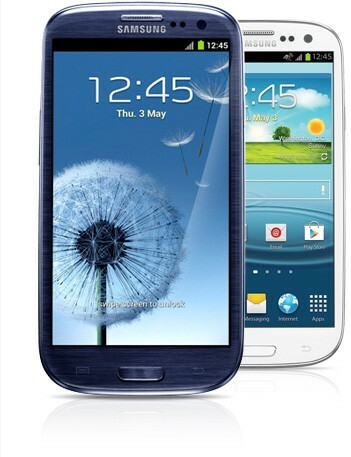 AT&T announces Samsung Galaxy S III plans: preorders begin June 6th for $200, will be available in red originally appeared on Engadget on Mon, 04 Jun 2012 17:21:00 EDT. Please see our terms for use of feeds. Last time the winds of hearsay rustled our tech feathers, word was Samsung had pegged its Tab 2 10.1 for a quad-core CPU transplant. While the company went on the record to shoot down that pesky rumor, it remained suspiciously mum where the Galaxy Note 10.1 was concerned. Now, thanks to a brief video demo over on German site All About Samsung, it appears the formerly dual-core slate refresh we had a chance to preview back in March could, indeed, be set for a processor swap. Though it’s still far from official, the new Note 10.1 shown above looks to be sharing not only some of the Galaxy S III’s specs — 1.4GHz quad-core Exynos processor with Mali 400 MP GPU and a TouchWizzed Android 4.0.4– but also that formerly problematic Pebble Blue finish. And much to our delight, it also appears as if the company’s revised the tablet’s design slightly, adding in a convenient slot on the lower left hand side for S-Pen stowage. Not convinced by mere words alone? The head past the break for video evidence of this purported hardware upgrade. 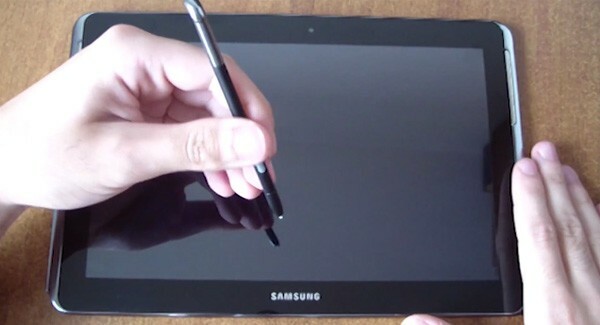 Samsung Galaxy Note 10.1 caught on camera with S-pen slot, quad-core CPU (video) originally appeared on Engadget on Mon, 04 Jun 2012 17:13:00 EDT. Please see our terms for use of feeds. This entry was posted on June 4, 2012, 5:45 pm and is filed under Mobility. You can follow any responses to this entry through RSS 2.0. Both comments and pings are currently closed.